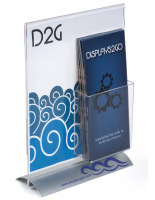 This 8.5” x 11” sign frame with leaflet holder is a simple, yet upcale, merchandising tool. 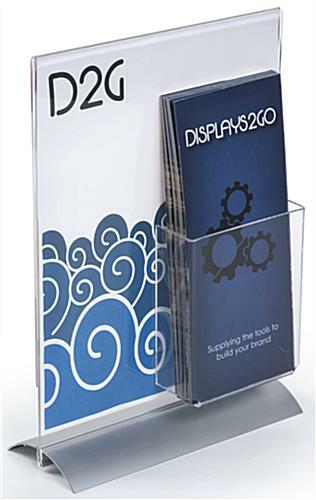 Use these stands to display signage in a retail, business, educational, or real estate setting. 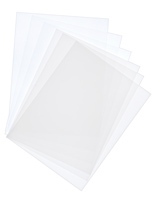 Each flyer sign frame is just the right size to hold common printer paper signage. 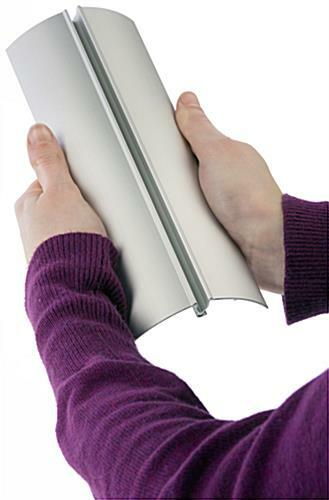 As an added bonus, the unit features a 4”w x 5.25”h brochure pocket. 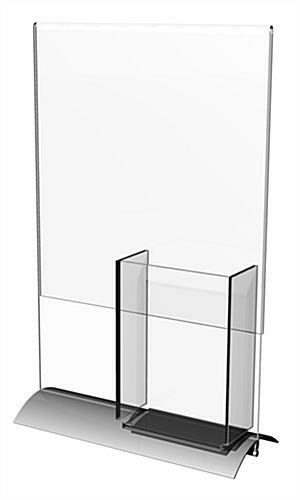 A silver, snap base keeps the sign frame stable while providing a high end appearance. 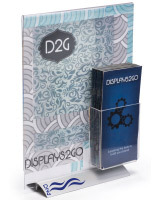 Perfect for a wide variety of display needs, this acrylic poster display is sure to work for you! 8.3" x 13.8" x 4.8"
4.0" x 5.3" x 1.5"